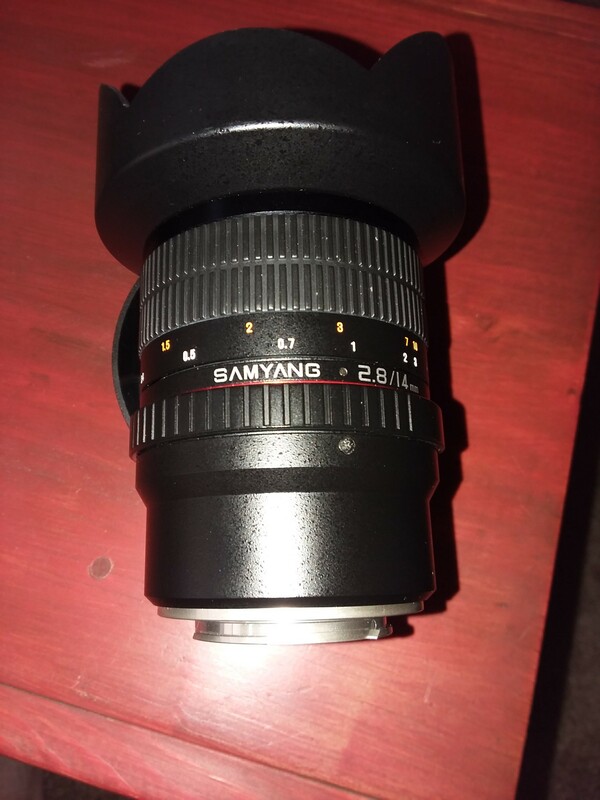 I have a Samyang 14mm f/2.8 lens that I think is for lack of a better word is a factory misalignment when mounting the lens on a Fuji X camera. When the lens is mounted ( align ) red dot to red dot on camera, the aperture scale is facing down the right side instead of across the top. I contacted veejaycee, and tried to send pictures, but dumb, not good at that sort of things, I am going to try to post them here. Cross your fingers...here goes. The tooth pick shows where the red dot is located. 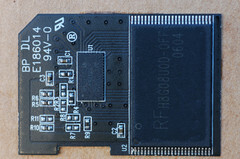 I have other images, but only allowed 2mb? I see them now. I think this is a misaligned mount. 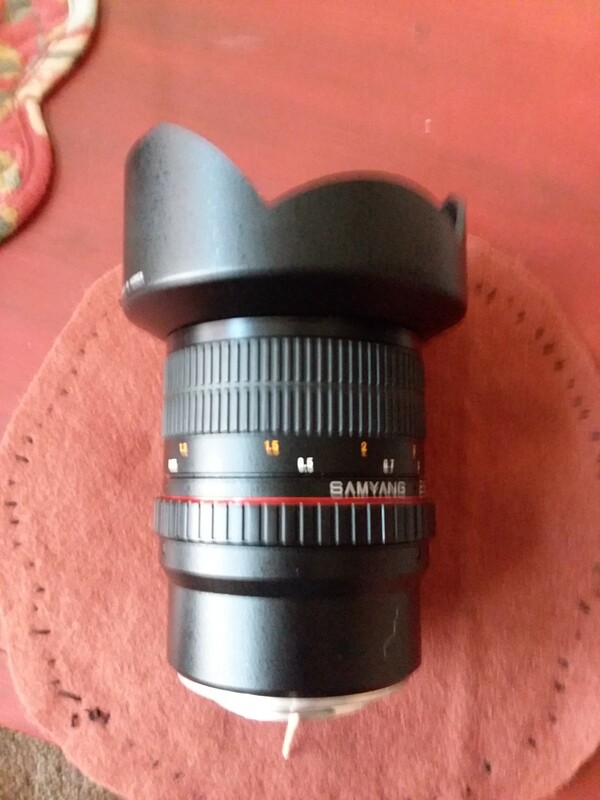 The Samyang motif should be on top (when fitted) as should the shallowest part of the lens hood. So - the lens hood is right and the lens body is right so it must be the mount is fitted incorrectly. If the mount has screws at regular spacings that would explain the poor workmanship. It may be that you can unscrew and turn the mount anti-clockwise by one screw spacing and refit it. You'll probably need the screwdriver sets made for spectacle adjustment. Their will be no connections to worry about as this is a 100% manual lens - otherwise the person fitting the mount would have been made to realise. Thanks veejeycee, I contacted the person I bought it from, and he removed the mount at some point and put a Nikon mount on it, and put it back to the original mount, but accidently put back wrong. I didn't want to deal with it, and he agreed to take it back. That was a good turn on his part. All is well.